The LC-XC range from Panasonic are dedicated cyclic batteries specifically designed for continuous usage such as golf buggies & mobility aids/motorised scooters. The LC-XC1228 models offer up to a 17% capacity advantage against most competing models. This means extended run time. The LC-XC1228AP connects via threaded post (nut & washer supplied with battery) whilst the LC-XC1228P connects via through hole, upright bolt terminals (nut & bolt supplied with battery). 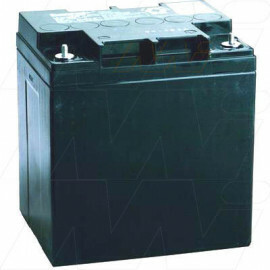 This VRLA battery is an AGM type. Please ensure the correct charger is used to charge the batteries. To extend overall service life we recommend the four stage microprocessor controlled Battery Fighter BFP012 charger for 12 volt system & the BFP024 charger for 24 volt systems. Use of automotive or gel type chargers may shorten battery life and may not fully charge this battery type. Two or three stage VRLA/AGM chargers are acceptable. Whilst cyclic batteries are made for continuous use, longer overall service life (number of recharges) will be achieved by recharging before the battery goes flat, even if only a small amount of the batteries charge was used. 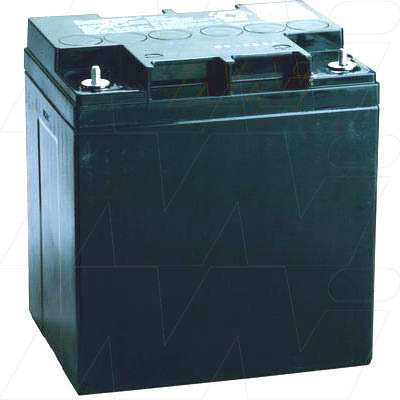 Leaving a lead type battery flat (voltage is too low to drive equipment) for even as little as 24 hours may reduce run time per charge and the overall life of the battery.